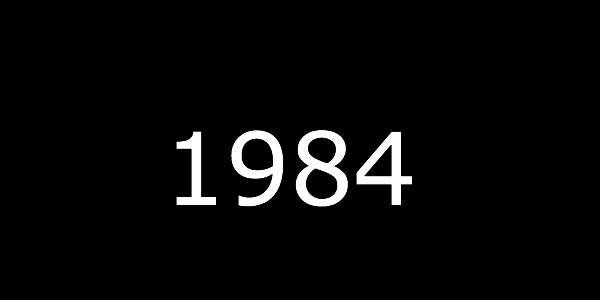 After a page or so on the events of 1984 that we all know, this essay focuses on some terms and concepts that are critical to the issue and are not yet a part of our lexicon or conversation. So bear with me. Humans are not the only species with a moral sense but perhaps no other species has such an exquisitely honed ethical take on what they will or will not do. No other species spends billions every year around the world to prevent cruelty to other species; on the other hand, none can outdo mankind in devising systems to destroy others as effectively either. The “other” in this could even be one of our own; we show little loyalty to our own species. In this our behavior can be glorious or gory to the extreme; we can climb the heights of divinity and also plumb the depths of cannibalism and cruelty. A brief prelude to the precarious situation of Sikhs in India today is necessary. Sikhs are a small minority less than 2 percent – about 25 million of India’s over a billion people. A young religion barely 500 years old; its way of life clearly rejects the bulk of Indian mythology including the rigidly defined caste system, and teaches of an equal place for women in society. Sikhi does not insist on exclusivity of dogma or doctrine and speaks of one Creator common to all creation regardless of nationality, gender, race, class, caste or religious label. Because of the clarity of their message this small minority has carved a special niche in the Indian nation and its history. During the defining struggle for India’s independence from the British in the mid 20th century, more than two-thirds of all Indians who were sentenced to life imprisonment or death by the British were Sikh. At the same time, the most decorated soldiers of the British Indian Army were Sikhs, and the cemeteries of Italy. Belgium and France bear ample testimony of their valor. Of course, today, Sikhs are a worldwide presence. The Punjabi (largely Sikh) farmer has been mainly responsible for rescuing India from its yearly famines and also for its integrity during its many wars with its neighbors. Yet soon after independence from the British the political vision of the nominally democratic, new nation, India, was bent to the new realities of a numerically dominant Hindu majority. And Sikhs lost their place as a forceful and independent voice. The Constitution of the new nation defined Sikhs as Hindus for legal purposes — an anomaly that persists today after 68 years and despite strong protests. This is not the place for all of the political-economic issues that could have been easily resolved given a modicum of commonsense and a view of belonging together as members of the same secular nation. The majoritarian structure found it more convenient instead to brand Sikhs as anti-India and reframe our differences as treason. Their tools: vilification and historical amnesia. I concede that my very brief summary does no justice at all to the Sikh grievances or the Indian government’s handling of them over the years but that is not my mandate today. Readers can explore the events in excruciatingly painful detail at many Internet sites, particularly Sikhnet.com, Sikhchic.com, Ensaaf, Sikh for Justice, and many others. I dwell instead on how the crisis was managed and what it means to us today. In a clearly political strategy, Sikhs were sidelined as antinational. In 1984 the Indian Army attacked the premier Sikh place of worship, the Golden Temple, on a high holy day, killed thousands of men, women and children, arrested uncounted numbers without trial and sealed the state of Punjab from the rest of the country. Five months later in retaliation of this high handedness, the Prime Minister (Indira Gandhi) was shot dead by two Sikhs. That led immediately to a time of utter darkness that speaks to the realities in India then and lies at the heart of a festering issue today 31 years later. Within six hours of the death of Indira Gandhi truckloads of armed Hindu mobs appeared in Sikh neighborhoods of India’s capital city, Delhi, and several other cities of India. They systematically and selectively looted Sikh businesses and houses, burned, raped and murdered thousands of unarmed innocent civilians. The mayhem continued for three days. The police was not there or stood by, even egging on the killers. The military sat it out in the barracks — not deployed. The political leadership never once appealed for calm; instead it provoked more killings. Absolutely no one was arrested during that time; no police cases registered. Remember that 32 years ago we were living in pre-Google times. There was no way to download lists of Sikh owned houses and businesses at the click of a mouse; yet, the mobs carried such lists. Trucks and petrol were not freely available nor were arms and guns – they had to be registered. Yet, the mobs came in trucks with guns, machetes, and kerosene within six hours in many cities across the vast country at the same time. They did what they were assigned to do and two days later the murderous frenzy stopped as if at the behest of an unseen hand of the Commander. Neither India’s civilian bureaucracy nor its massive army has ever shown such precise organizational competence and management skills before or since 1984. And the government supported by the press and state owned television instantly labeled the killings “riots.” That is a deliberate debasement of language. “Riots” are marked by spontaneity and a lack of organizational structure. The killings of Sikhs, Hindus and Muslims in 1947 were riots; the killings of Sikhs in 1984 were not. Some truths must be acknowledged. Many Sikhs survived because of the kindness of their non-Sikh – primarily Hindu – neighbors. The first glimmerings of truth emerged in the face of governmental denials because of largely non-Sikh – Hindu – judicial scholars and citizens. If these were not “riots” how best do we label this massacre? There have been pogroms and programmed killings in history; the list is endless. Let’s focus on the 20th century that has been dominated by murders perpetrated by states and non-state forces – death squads, paramilitary groups and guerrillas, etc. Perhaps the most evil occurs when states are responsible. Some killings are rightly labeled genocide, a term first used by Lemkin, a Polish Jew, during the Second World War and widely used during the Nuremberg Trials. These crimes against humanity are prohibited in the Hague Convention of 1907. Initially these covered acts only during wars. Subsequently it was broadened to cover acts during both peace and war. Early instances of genocide include the ethnic cleansing of Greeks and Armenians by the Turks in 1912 to 1923. The intractable attitudes towards such matters are clear from a remarkable irony: In Turkey mentioning that the Armenian genocide occurred would be a crime while in France suggesting that it did not happen would be prosecutable. A noted scholar Helen Fein notes that genocides have been reported on every continent — 13 to 20 cases have been documented. Genocides and state political killings have taken the lives of over four times the number of people killed in war between 1900 and 1987. A problem in documentation stems from the definition of terms. Scholars look for fine differences between genocide, democide, politicide and related terms. I leave such fine parsing to academicians. Suffice it to say that one scholar, Rummel, estimates the number of victims in the 20th century to surpass the population of all but the five largest nation-states in the world. Although the Genocide Convention has been international law since 1951, due to domestic political opposition the United States only signed the treaty in 1988. There is nothing in the Genocide Convention that can identify “Genocide in the Making.” There is no numeric threshold of killings that would mandate preventive action. Also, to me, a non-lawyer, it seems that recognition of genocide depends on nation-states, the victims cannot invoke action. Yes, we remember Santayana’s warning that those who do not remember their history are condemned to repeat it, but we overlook the truism that just remembering history does not lead in itself to not repeating it. I have heard it said that “The fact that 1984 happened, the fact that we had to deal with these massive challenges, made us a better community, a bigger community and a more successful community.” I hope and pray that it is so. George Orwell, the India born British author of the classic novel “1984,” would have been awed by how fully India transformed his fiction into real life. I sincerely acknowledge the generous assistance of Chapman University for providing the platform to foster a conversation and discussion on these critical issues from a global perspective. A well laid and articulated facts by IJS. We, the Sikhs diaspora and the next generation must appreciate the fact and the hurt that our small comminity had to face the genocide not only in 1984 but all throughout the Mougul Dinesty. Yet ironically, the Sikhs are referred as an example to many societies, reflected as the most progressive comminity around the world. We should thank the Spirit of our Gurus in engineering what we are today. Walking through the generation, we have been marginalized, snatched of our freedom to have our own nation, of which the Sikh could have been proud of today; looted of our kingdom that extended from Delhi to Afganistan; destroyed our youth and nullified an era that could link our glorious history to the presence; deprived of the language growth; marginalise the peotry of the highest order inscribed in our SGGS when referrence are made of the Ragas within the musical fraternity. Inspite of all this, we have excelled around the world, with due recognition, majority of it given by governances out of India. To our Sikh Diaspora, keep up with our spirit and sincerity. The next coming generation of the Sikhs are the one who would strive even harder to make the lines like “Sarbat Da Bhalla” and “Chadthi Kala” more prominent and make this small comminity proud of its existance on this planet earth.